Update: Please do NOT try to send ETH directly to the Lunyr Token address. It will not work. You have to follow the instructions to execute create(). With our crowdsale quickly approaching, we’d like to present the crowdsale instructions. We will announce the Lunyr Token (LUN) address and update this post later. If you have any questions, please join us on Bitcointalk. 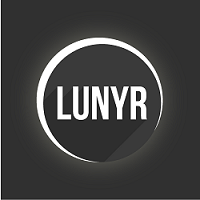 Lunyr is an Ethereum-based decentralized world knowledge base where users get rewarded app tokens for peer-reviewing and contributing information.